Home Free, an a cappella singing group, put out this beautiful rendition of “Angels We Have Heard On High” a couple of years ago. The basic song itself, melody and words, is in the public domain. Anyone can perform “Angels We Have Heard On High” anytime without paying any royalties to anybody. Home Free is thus … well, home free as they perform this lovely piece. However, the melody and words are just one layer of the rights involved here. Someone wrote the harmonies we hear in the video. That person has copyright in the music of the harmonies they composed. The group performed the song. They have copyright in their performance. There was a sound engineer who did some mixing here. That sound engineer has copyright in the sound mixing s/he did to produce this video. There was a videographer who did the camera work for the video. That videographer has copyright in the video s/he did to produce this video. Finally, someone holds copyright in the final production as a whole. There are lots and lots of layers and stakeholders in a video performance copyright. The US Court of Appeals for the Second Circuit has handed down the ruling that the Google Books project does not infringe the authors’ copyrights in their various works. Under Author’s Guild v. Google. Inc., docket no. 13-4829-cv, the Google Book project falls under the fair use doctrine. No one factor is determinative; the results of the factors are looked at as a whole, then the judge is required to make a decision based on that analysis of the four factors taken together. This makes fair use an incredibly case-specific determination. There is no really good way to tell beforehand whether a particular use is fair use or not. Evidently, Google Books’ use of many, many copyrighted works is fair use. I wonder whether this decision might be motivated in part by the sheer volume of copyright infringement suits that could be brought against Google if the decision had come down differently? Sometimes, federal judges can be pragmatic; the volume of copyright infringement suits that could hit the courts might indeed flood the court system since Google Books uses snippets from most published works of authorship. This influx of copyright infringement cases would interfere with other matters and completely clog the courts. For any who don’t know, a “troll” is a company (and its lawyers) that sends out thousands of cease-and-desist letters threatening a lawsuit against a supposed infringer of that company’s supposed intellectual property. It’s a nasty practice that has brought the trolls (and their lawyers) many hundreds of thousands of dollars over the years. Finally, the Federal Trade Commission is beginning to protect the innocent public against these unscrupulous “licensing” demands. American Broadcasting Companies vs. Aereo, Inc.
A couple of weeks ago, overshadowed by the Hobby Lobby decision, SCOTUS handed down a copyright decision that may substantially limit the ability of transmitters to transmit copyrighted broadcasts without a license to do so. In American Broadcasting Cos. v. Aereo, Inc., 573 US ___ (2014), Aereo is a subscription broadcasting service that sold “…to its subscribers a technologically complex service that allows them to watch television programs over the internet at about the same time as the programs are broadcast over the air.” Slip Op. at 1. The technology is detailed in the case, so I do not reproduce it here; suffice it to say that through a complex series of technological events, each Aereo subscriber ends up having his or her own dedicated antenna through which copyrighted content is streamed to one computer only. The US District Court for the Southern District of New York, affirmed by the US Court of Appeals for the Second Circuit, found that this technology does not infringe the rights of the copyright holders of the shows that Aereo streams to its users because, first, Aereo does not “perform” within the meaning of the Copyright Act and, second, even if it does “perform,” it does not do so “publicly” because there is a dedicated antenna connected to only one computer, making the streaming a private showing, thus falling outside the “public” performance requirement of the Act to qualify as infringement. SCOTUS disagrees. 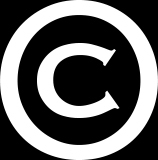 In a 6-3 decision delivered by Justice Breyer (the dissent comprises Justices Scalia, Thomas and Alito; all others concur in the majority opinion), the Court decreed that the 1976 Copyright Act was put in place, in large part, to overturn their decision in Fortnightly Corp v. United Artists Television, Inc., 392 US 390 (1968), which held that community-antenna television falls outside of the scope of the Copyright Act of 1952. Given the clear intent of Congress to make such activities fall very definitely within the scope of the Copyright Act, and given that Aereo’s activity are not substantially different from those of Fortnightly, the Court felt duty-bound to overturn the Court of Appeals for the Second Circuit’s holding that Aereo’s activities do not infringe copyright. SCOTUS holds for the plaintiff in determining whether (a) Aereo “performs” within the meaning of the Act and (b) Aereo performs “publicly” within the meaning of the Act. There is language in the case that indicates that this case can be read narrowly, but this case puts rebroadcasters on notice: The act of rebroadcasting is a “transmission” within the meaning of the Act, and the viewer and broadcaster “perform publicly” within the meaning of the Act. I advise my clients that it’s always easiest, best, cheapest to get a license to use the copyrighted works of others. This case just goes to show that this advice is still good. The oral arguments on both sides are actually interesting for those of us who like copyright matters.